Did you know you can catch cancer during a dental checkup? Yes, it’s true! Every six months you should be visiting your dentist for an oral health evaluation. During this checkup, your dentist can review your oral health, check for cavities, gum disease, and even oral cancer. By keeping up with your dental appointments, you can catch oral cancer as soon as possible. Our dentist, Dr. with Albrecht Family Dentistry in Mentor, Ohio, is happy to give you a dental checkup and has provided you some information on identifying oral cancer until you can come in for a visit. Did you know, oral cancer targets thousands of Americans every year? Yes, it’s true! Oral cancer can develop on the tongue, in the mouth, and even inside the throat. Most people are aware that smoking and any tobacco use is commonly linked to oral cancer. However, it is essential to know that even people who have never used tobacco in any form can still suffer from oral cancers catastrophic effects. Jaw Movement: Difficulty talking, chewing, or moving your jaw at all can be an indicator. Sensitivity: A rise in sensitivity in your mouth and neck should be looked at right away. Lumps and bumps: Any unexplained developments in your mouth need to be treated. Bleeding: Unexplained bleeding can occur from your mouth, gums, or throat from cancer. Inflammation: Severe swelling can happen from multiple areas inside your mouth. Patches or spots: White or red spots could be an indicator of cancer lingering. Change in your voice: If your voice changes as an adult get checked out quickly. Pain in the mouth or jaw: Mysterious pain in your mouth could be caused by a small tumor. Dramatic weight loss: Dramatic weight loss a standard indicator to several forms of cancer. A sore throat: A lingering sore throat could be a sign that should not be ignored. Numbness: Numbness or tingling in your mouth, tongue, or throat could be cancer near a nerve. Ear pain: Your jawbone is close to the ears, so don’t ignore persistent earaches. If you spot any of these warning signs in your mouth, seek professional help and treatment as swiftly as possible. Taking care of your smile is important and should not be neglected. If you leave your oral health untreated or cared for, you could risk tooth loss, gum loss, bone loss, and even the spread of oral cancer. 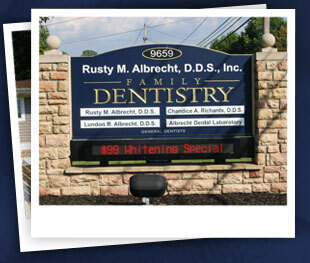 If you have questions about your oral health, please call us today at 440.358.0495 to make an appointment. 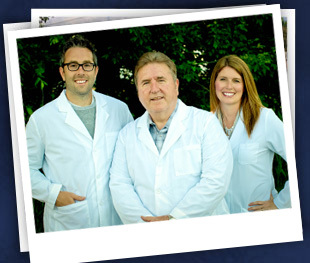 Our dental team is happy to give you a dental checkup.